Summer registration is going on NOW! – THANK YOU FOR YOUR PATIENCE! Browse the class listings and choose your classes. Check out this article celebrating all that is thriving in excellent theater and performing arts education in the city of Pittsburgh. 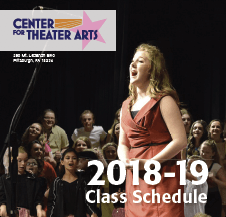 Now in its 38th year, the Center for Theater Arts in the South Hills has a flexible performing arts curriculum of over 80 classes offered to kids from age 4 to 17. The Centers programs are designed specifically students and families who have very busy schedules. DANCE classes include tap, jazz, ballet, and hip-hop. ACTING classes include acting for the camera and improvisation, while the “Acting Playground” class explores how voice, body, emotions, and creativity are tools for the craft of acting. Classes in VOICE emphasize skill development and are intended for those students who wish to increase their mastery in this area. The Center’s vocal studies program is designed especially for developing young voices using Broadway repertoire. 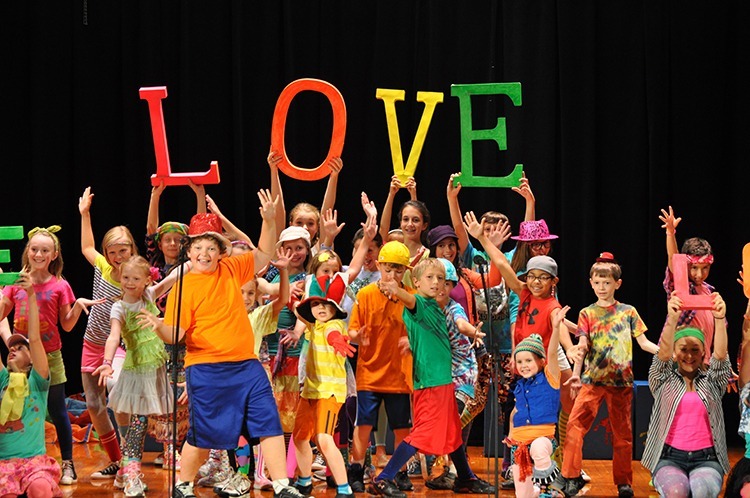 Our MUSICAL THEATER program provides students of all ages an opportunity to combine their love of singing, dancing and acting and prepare for a year end performance of a musical production. Hartung, an alum of the school, went on to play Broadway and appear in film before returning to raise his family in Pittsburgh. He appreciates and supports the center’s nurturing environment. The kid-focused training is vital to our mission and help kids improve their self-image and self-confidence through artistic expression, he says. Which brings us to the center’s Special Actors program, which boasts over 100 participants with special needs from age 9 to 86. Thank you for the great coverage KidsburghPgh, KDKA-TV | CBS Pittsburgh, and Kristine Sorensen! Look for us on the Official Pittsburgh Today Live! Enrollment is open now for summer camps and workshops — join us for our CTA summer series! Click on the Pittsburgh Today Logo to view the story and celebrate, share and enjoy more Great NEWS!!! Winding DOWN our SHOWCASE WEEK! AMAZNG Performances and VERY Happy Kid taking over the stage. 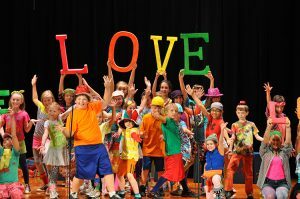 We are proud to be entering our 4th decade of high quality arts education and providing great opportunities for kids to learn! Enrollment is open now for summer camps and workshops — join us for our CTA summer series!